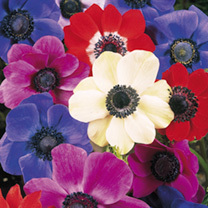 Create a carpet of colour in time for spring with our collection of beautiful anemone bulbs. 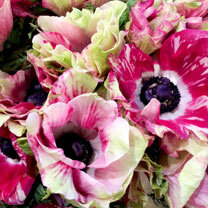 As varied as they are pretty, our anemones produce spectacular flowers that look fabulous in a border or a container. 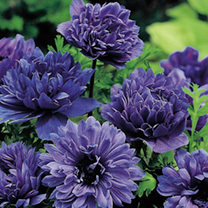 And if you want to enjoy them inside the house too, they’re ideal for cutting. 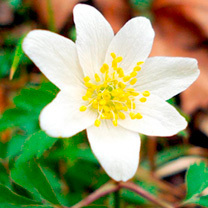 If you’ve been thinking about giving naturalising a go in your own garden, our anemones are ideal for the ‘throw and grow’ method! 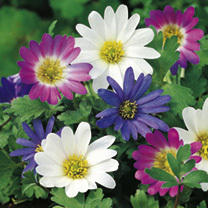 Creating the wild meadow look is right on trend, and our colourful anemones work perfectly to create that natural feel in your outside space. 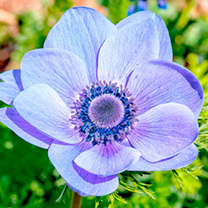 Spring’s a great time to fill your borders with as much colour as possible, and our bulb mixes combine beautiful shades that work well together. 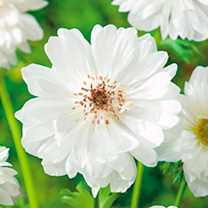 Whether you’re content to embrace beautiful whites or the striking blues, you’ll find a selection of head-turning shades for your pots and borders.